Home &sol; News &sol; Recognising Eco Activities in Norfolk! We here at Wild Anglia have had the great pleasure of working with the Norwich City Council on a number of environmental outreach initiatives so far this year, and with all the whirl-wind of these activities now quietening we would like to take a quick look back! 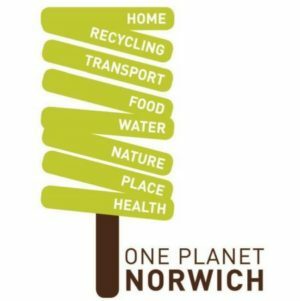 The One Planet Norwich weekend was a great initiative put together by Norwich City Council to engage the public in the environment and sustainable living – showcasing that we should treat the wonderful planet we have wisely! We were excited to get involved with this, and in partnership with Wild Days Conservation we put on a special WildWords event, a part of our friendly debating ‘society’ which we set up to discuss and debate on topics that effect people, the environment, and the economy. At One Planet Living, WildWords hosted a discussion on how behaviour change could help make a difference in combating climate change. We had a great turn out and an excellent debate led by Dr Charlie Wilson and Dr Helen Pallet of UEA who laid out the challenge of looking at how all of our behaviours and decisions effect the planet and that we can all make the choice to make a difference! It was a good challenge and we learnt a lot about how we act as individuals and within larger groups towards the environment, along with how our behaviours can be influenced or ‘nudged‘ looking at techniques used by campaigns, the government, and companies. The discussion from this was very engaging with many of the audiences debating how much difference we can all make and the conclusion was a lot! How we can influence companies and decision makers and how we shouldn’t accept by silence – we should engage and express our views as the public so we can make a real difference. The discussion also moved onto services and behaviour of society today, with attention given to how the younger generation is much more switched on to this subject showing great resilience and strength that we should lend support to to grow a bigger and louder voice. It was an engaging and wide ranging discussion which ran for 2 hours and we would like to thank the speakers for their challenge and the audience for their views and great conversation! 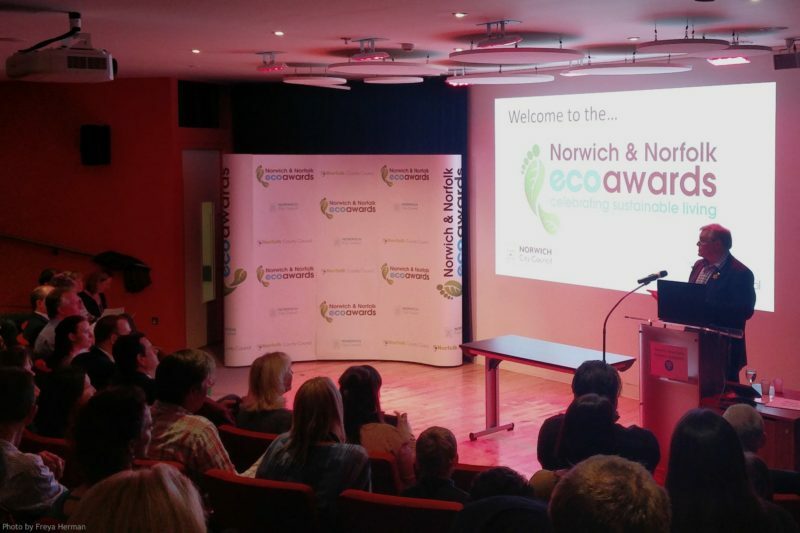 Wild Anglia were again proud to be a key sponsor of the Norwich and Norfolk Eco Awards, supporting this engaging and important award and saying thank you to the people and businesses who engage in sustainability and environmentally friendly operation in their business and personal lives. Richard Powell OBE the Chair of Wild Anglia was the host for the evening ceremony and introduced the people, schemes, and awards for the sponsors to present. The categories and participants again were very strong with hard decisions on the winners. This year’s submission were so strong that several highly commended categories were presented as well. Of particular note were East Ruston Infant School the Junior school winners and Flegg High School the senior school winners, again showing the younger generation were very engaged, professional, and highly talented. For a full run down of all of this year’s amazing winner and a look at their work please check out the Awards Winners Page. We look forward to growing this work further and further with everyone here in Norfolk (and Suffolk!) and here is to more fantastic sustainable work going on locally being recognised!